The transitional Bush Somerset L shaped desk with hutch provides very functional drawer and shelf storage. 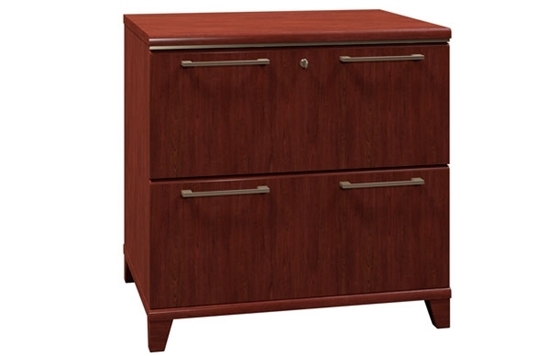 This desk includes a rich Hansen Cherry finish with tapered metallic leg accents. 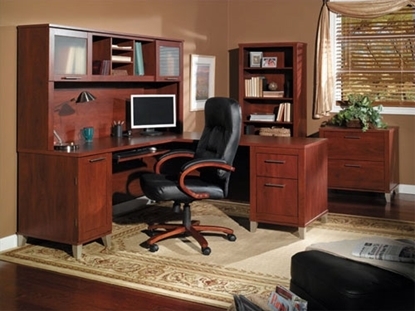 The Somerset also works well as a corner office desk, especially in your home where space is at a premium. Free shipping and warranty available on all discount office furniture.